Forex brokers interested in or holding a license in Labuan, Malaysia, must comply with the updated regulatory guidelines issued by the LFSA. Due to rise in popularity of forex broker licenses in Labuan, Malaysia, new regulatory changes have recently been announced. Those interested in applying for a forex broker license in Malaysia should be aware of these recent updates published by the local regulator, the Labuan Financial Services Authority (LFSA). The Ringgit (RM) is Malaysia’s official currency. 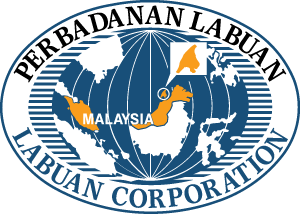 The updated Labuan money brokering services guideline sets the capital requirement to $ 140,000 (RM 500,000), from an initial $90,000 (~RM 365000), this paid-up capital is unaffected by business losses. The Labuan Financial services authority (LFSA) has set the maximum leverage for licensed forex brokers at 100:1. This level is quite generous, especially when compared to leverage updates happening in Europe. Prior to commencing business operations, forex brokers licensed in Labuan, will be required to provide approvals obtained from the appropriate authorities in their intended operating market to the LFSA. Forex brokers licensed by the LFSA are now required to have at least two (2) local senior employees, and expend a minimum of $20,000 locally. This change can be referenced in the guidelines for money brokering business in Labuan announcement. We understand how painstaking the process of checking regulatory boxes can be. This is why we offer our wealth of expertise and experience to savvy clients who value the guidance of experts in the field. For further assistance in establishing your forex broker license in Labuan, or alternative jurisdictions, please contact us.